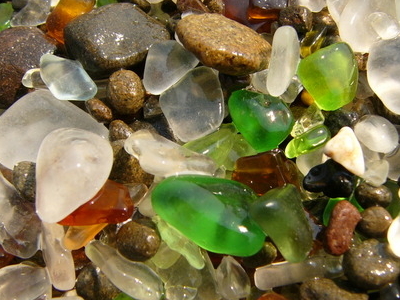 About 1,000 to 1,200 tourists visit Fort Bragg's glass beaches each Day in the summer. Most collect some glass. Because of this and also because of natural factors (wave action is constantly grinding down the glass), the glass is slowly diminishing. There is currently a movement[by whom?] to replenish the beaches with discarded glass. Similar beaches are found at Benicia, California and Hanapepe, Hawaii. Several endangered and protected native plants occur at Glass Beach including hybrid Menzies’ wallflower. 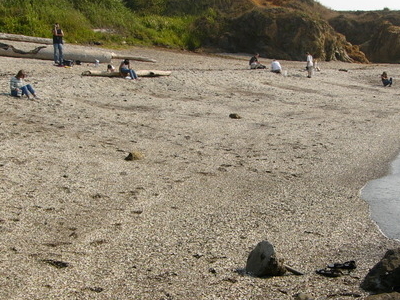 Here's the our members favorite photos of "Beaches in MacKerricher State Park". 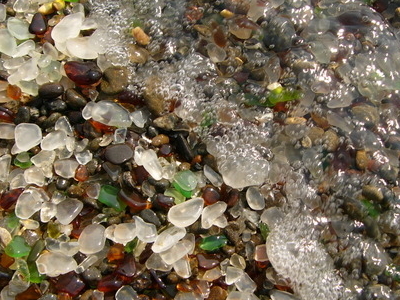 Upload your photo of Glass Beach!